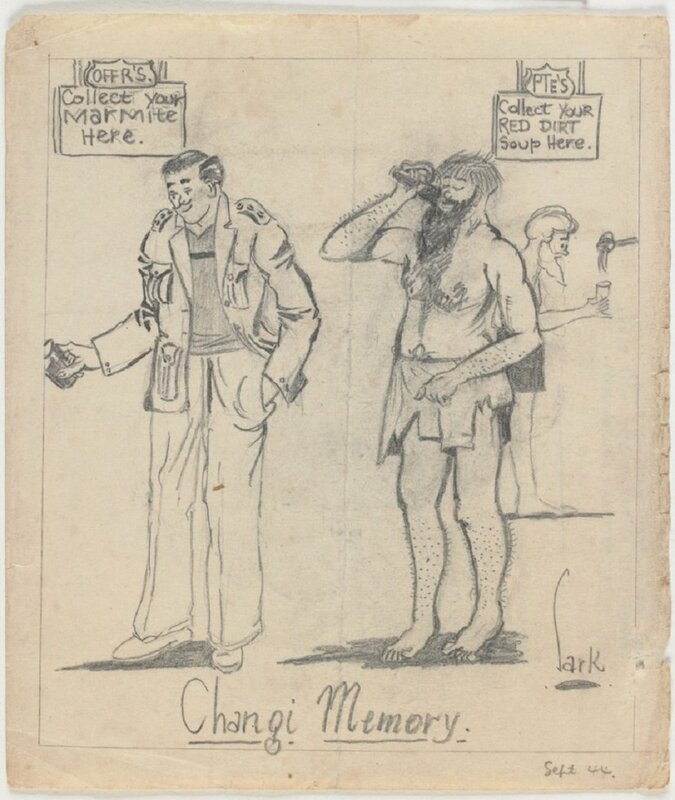 Illustration of the change in circumstances for a POW, titled 'Changi Memory', September 1944. Image courtesy of W. A. Sarkies Collection, State Library of Victoria. 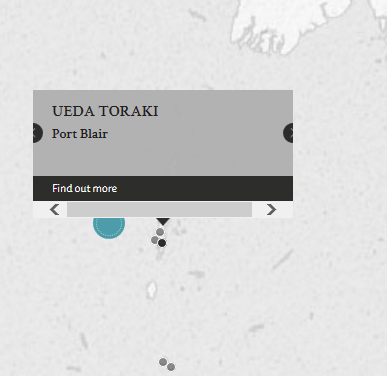 The accused, Chief Petty Officer Ueda Toraki, was accused of beating a civilian of Port Blair to death with a spade. Ueda had allegedly tied the victim, Ahmed Ali, a coolie, to a post by his wrists, before beating him with a spade continuously for 40 minutes, thereby resulting in Ahmed's death. Ahmed was never to be heard in again in Port Blair. The prosecution submitted that the beating was conducted unmercifully, and for no apparent reason. Ueda denied all of the above, claiming that he did not know Ahmed at all. Additionally, Ueda claimed that he had ever beaten anyone, with the only act of violence he committed being two slaps given to an unknown prisoner in 1944. During the war, the prosecution witness, Hari Gobind, was working under the charge of Ueda. After the Japanese surrender, their roles were ironically reversed, with Ueda working under the supervision of Hari. Ueda claimed that Hari treated him well, and told him he did not have to work so hard as they were 'friends'. This was despite Hari's claims that he was beaten by Ueda accused a few times during the war. Additionally, Ueda claimed to have to given to Hari a gold fountain pen to express his appreciation of Hari's kindness after the war. Hari testified against Ueda during the trial. Ueda, Toraki. Chief Petty Officer. From Japanese military. From Japan. Not guilty. Greene, B.E. Lieutenant Colonel. From British military. Court president. Solicitor. Lewis, K.L. Major. From British Indian Army. Webster, W. A. Captain. From British military. Mancherjee, B. Captain. From British Indian Army. Dunsford, Eric. Captain. From British military.